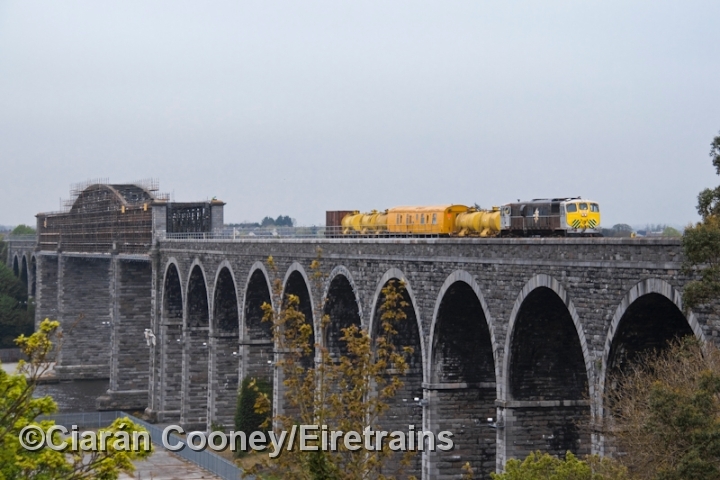 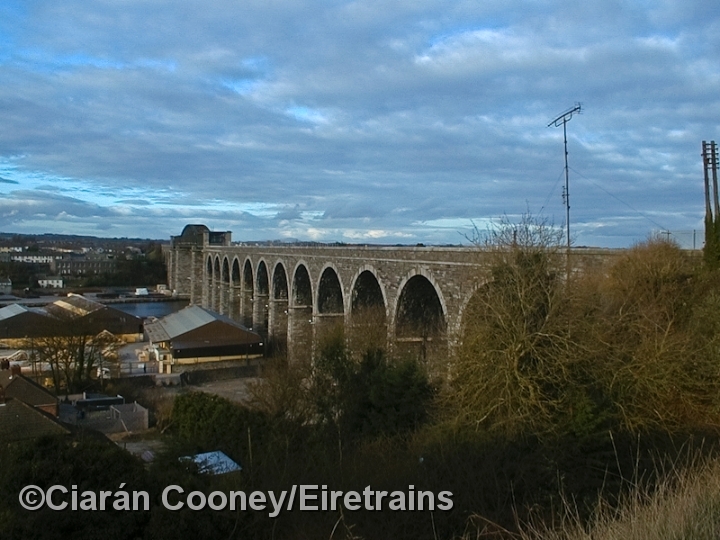 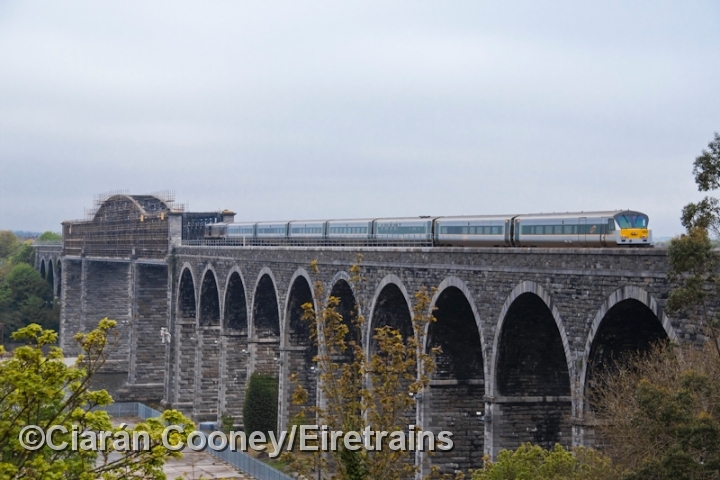 The large town of Drogheda was first served by rail from Dublin in 1844 by the Dublin & Drogheda Railway, who built their first terminus roughly opposite the present day station which opened following the completion of the large viaduct across the River Boyne in 1855. 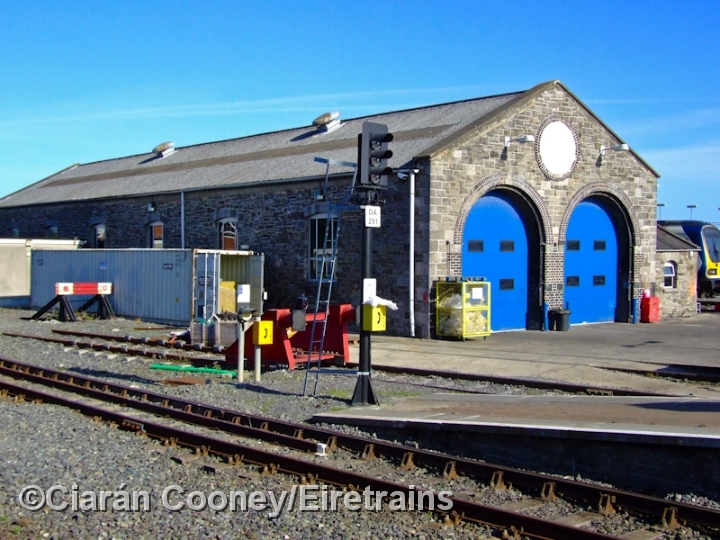 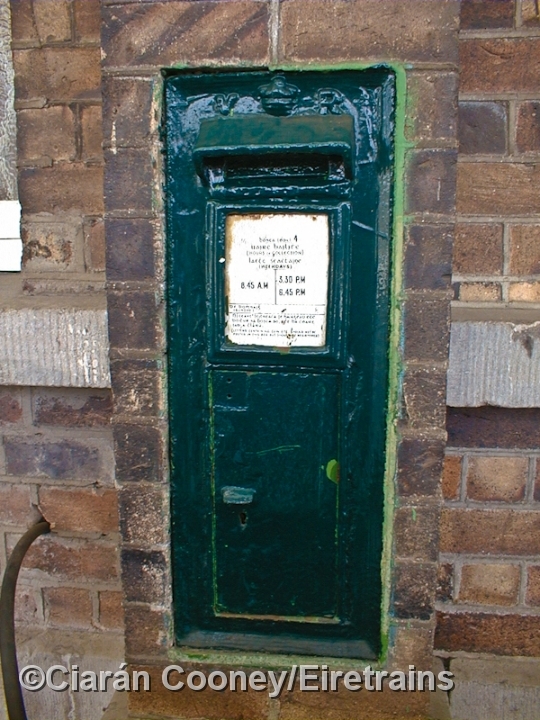 Nearly all the station buildings in Drogheda are original D&DR structures, the main single storey brick building is located on the up side, as is the water tower, and latter wooden Great Northern Railway style parcels office. 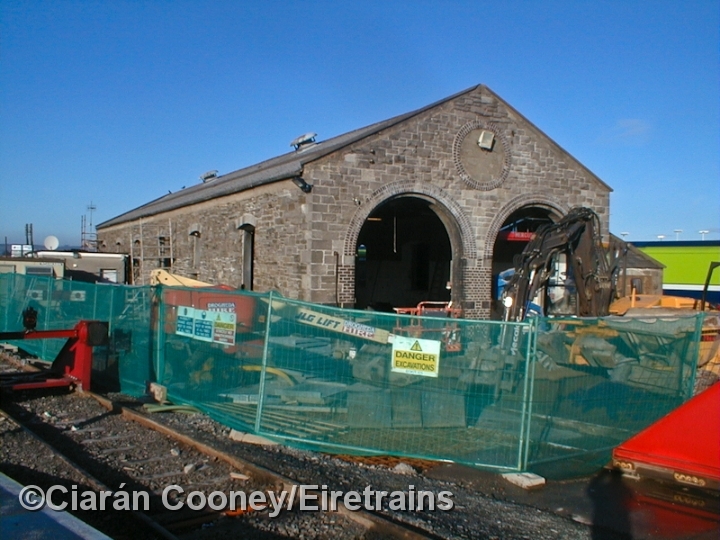 On the down platform, the brick retaining wall of the now island platform remains, complete with GNR wooden waiting room, and just beyond at the north end is the engine shed, used by the new railcar depot. 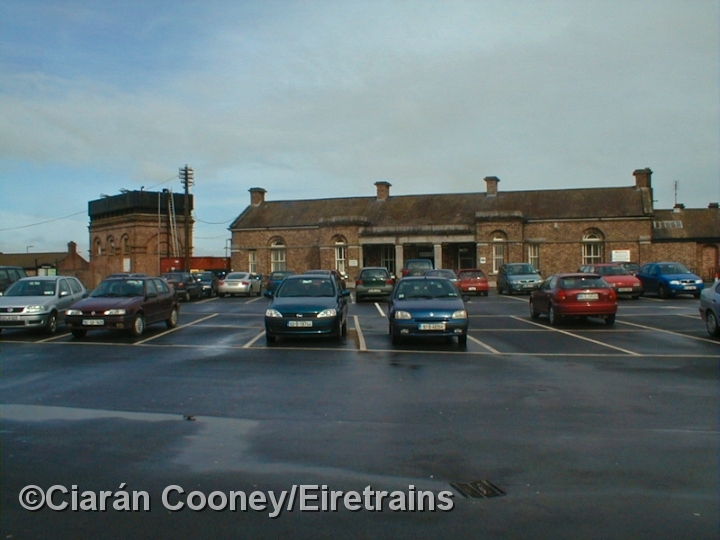 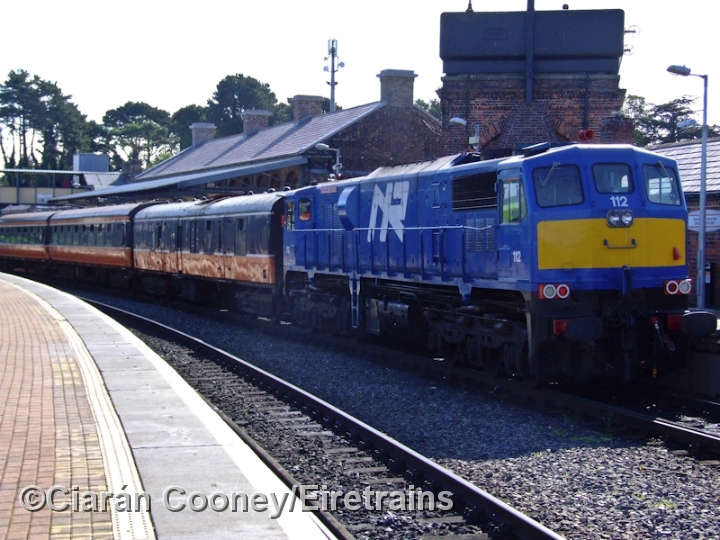 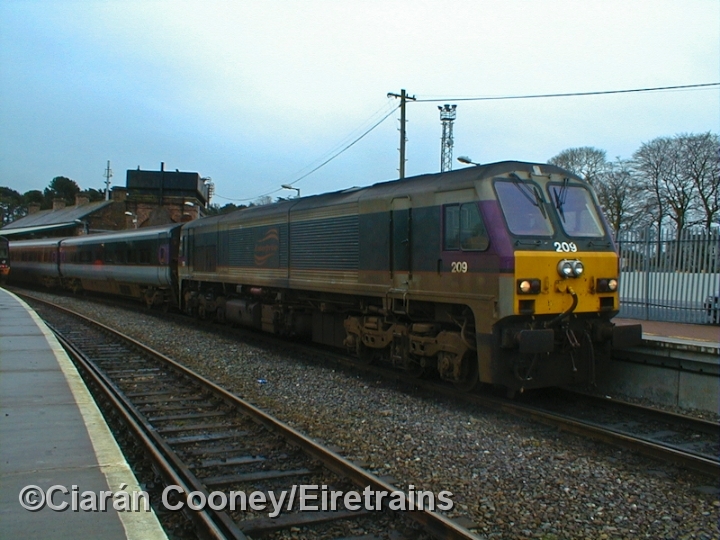 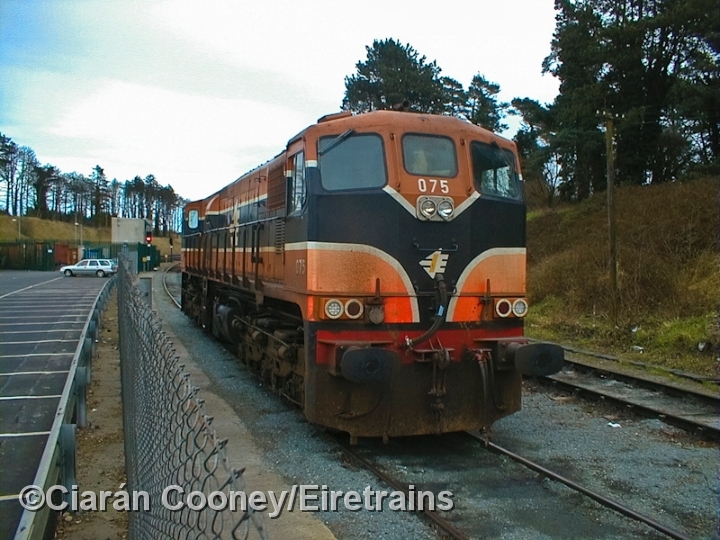 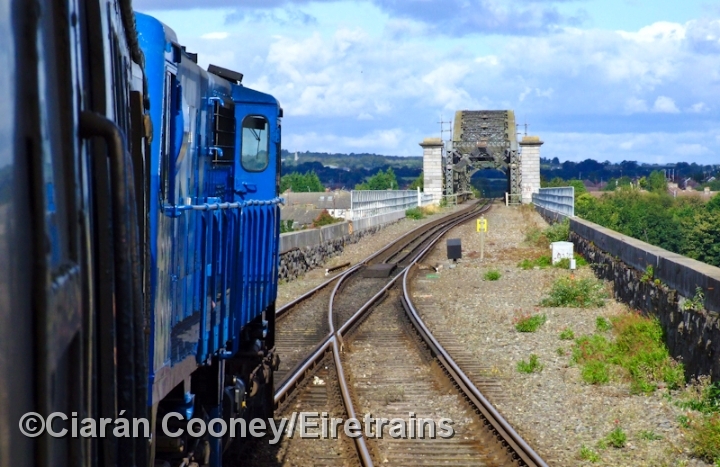 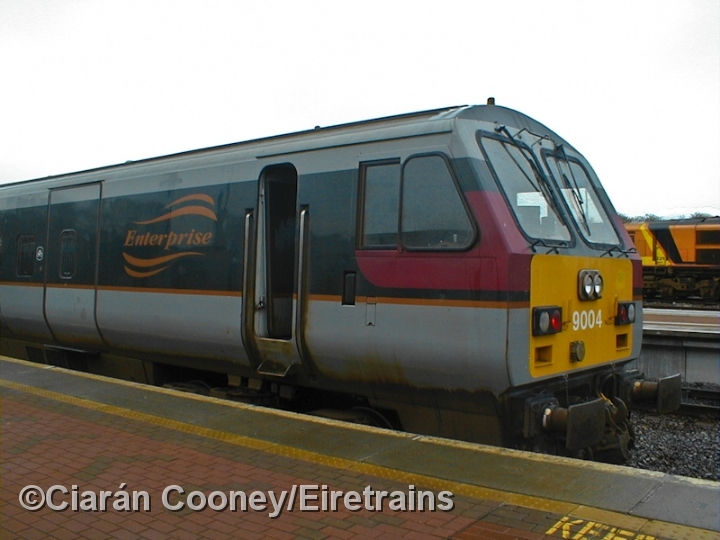 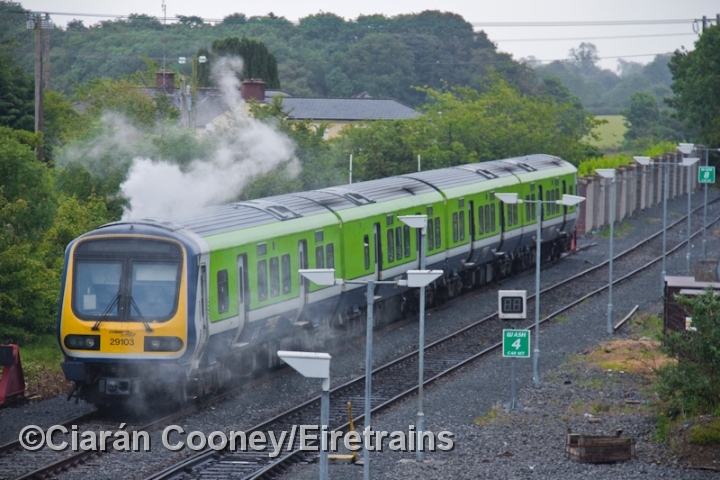 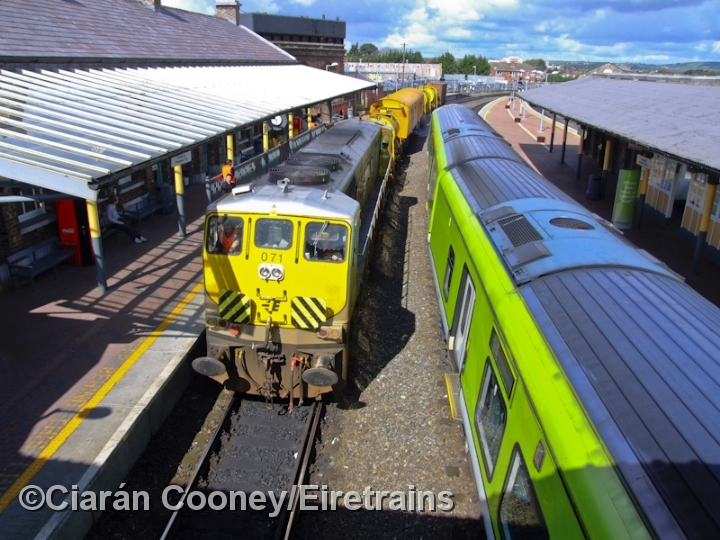 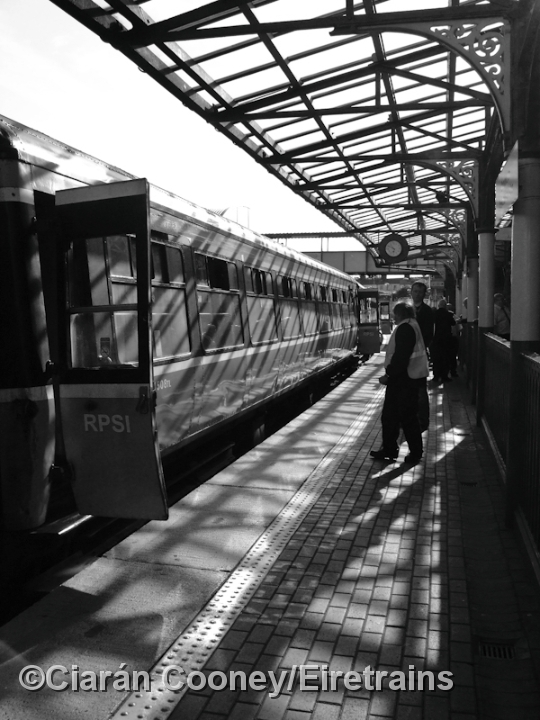 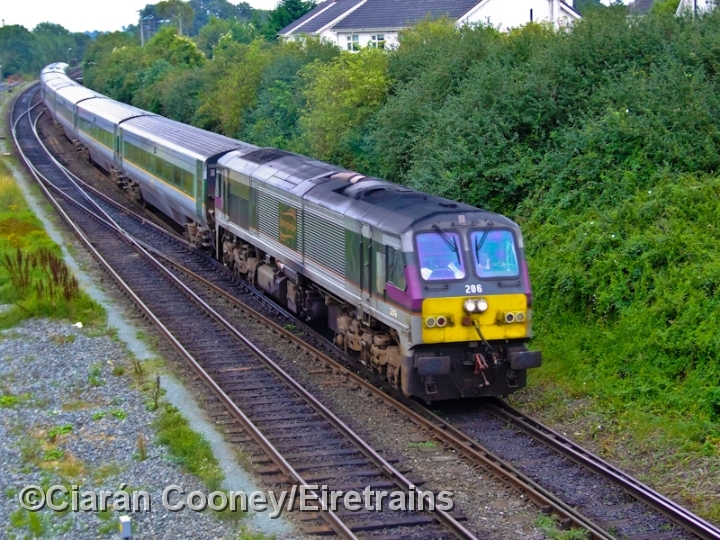 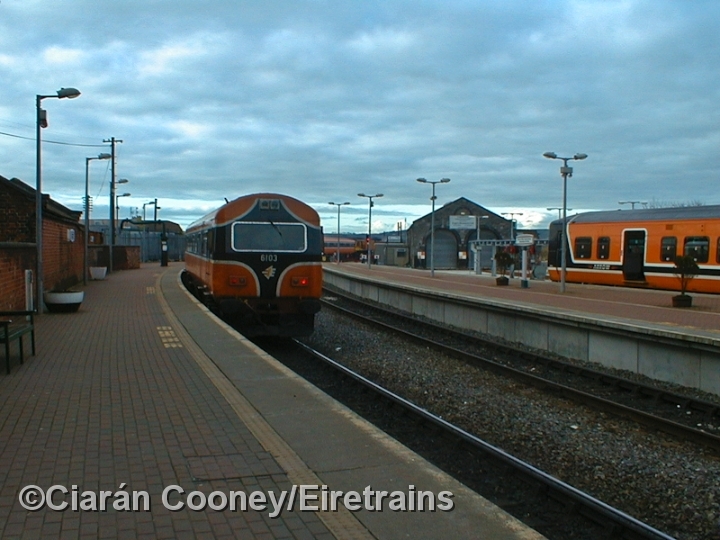 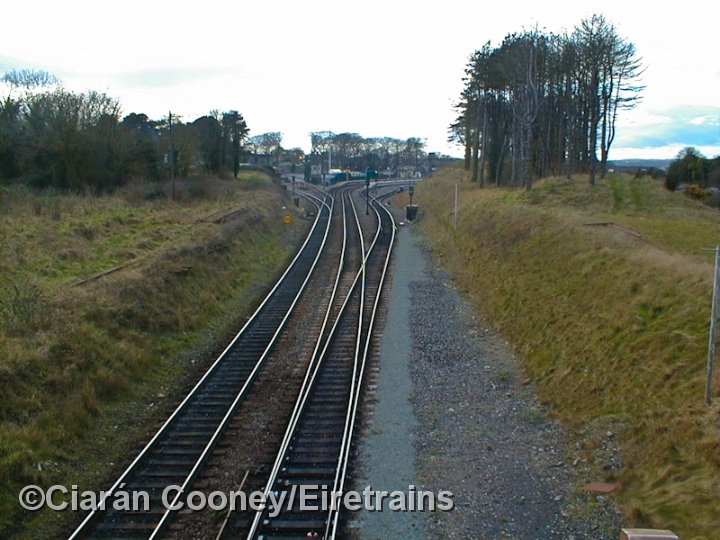 In 1850, Drogheda became the junction of the branch line to Navan and Oldcastle which diverges at the south of the station, and which lost their passenger services in 1958. 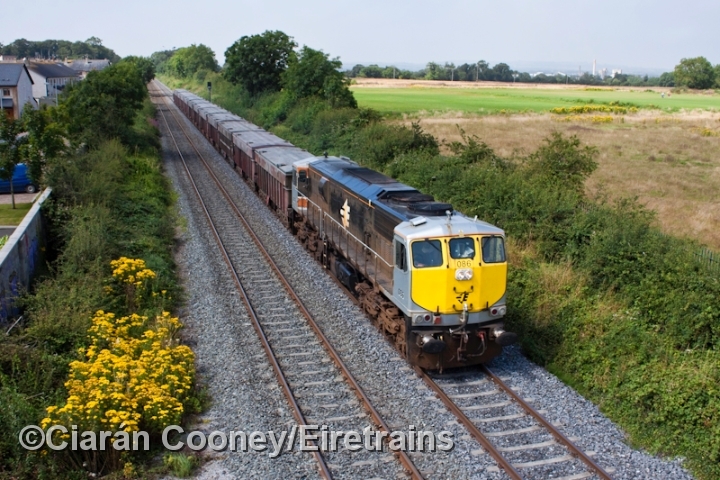 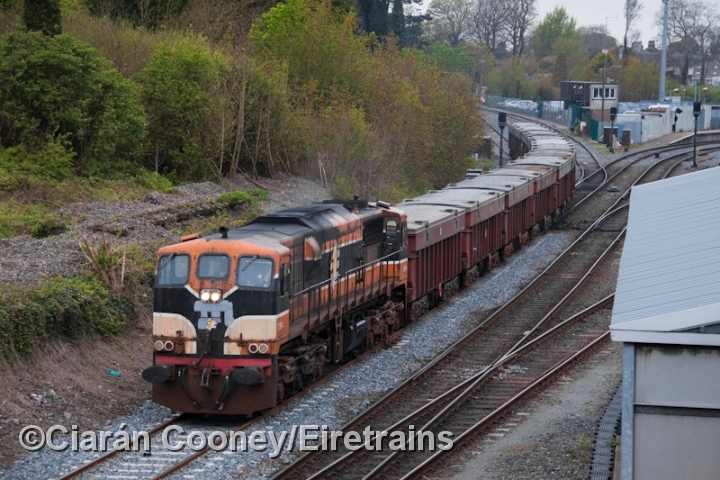 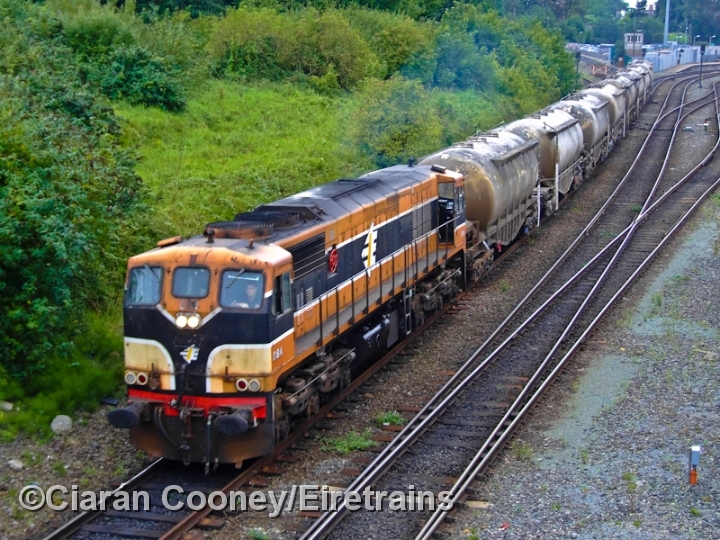 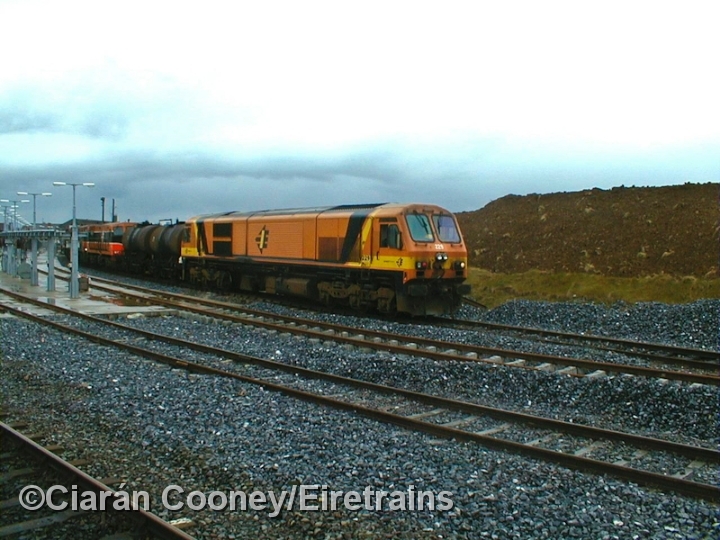 The section to Navan is still open, serving Tara Mines, and the Platin Cement Works. 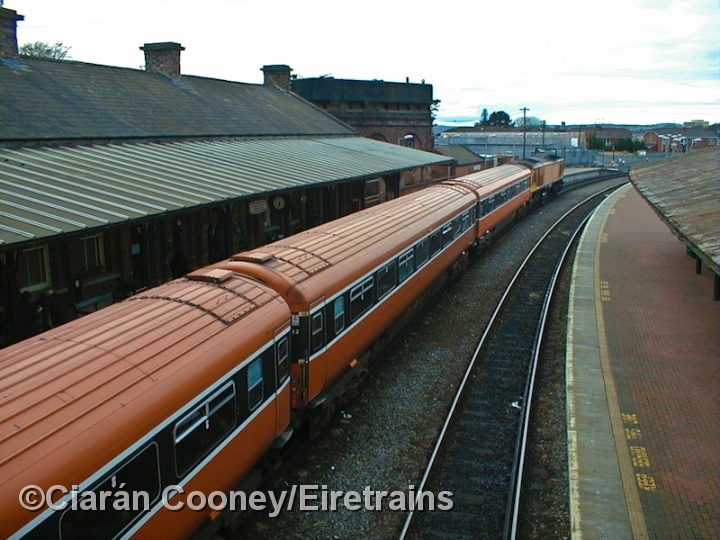 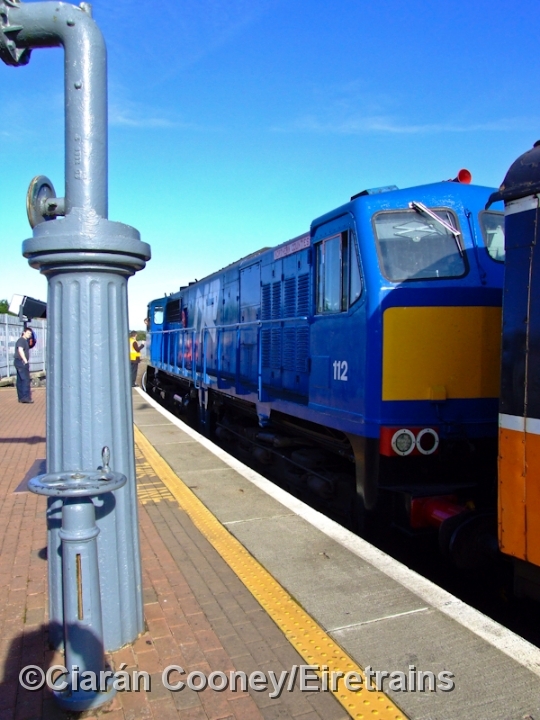 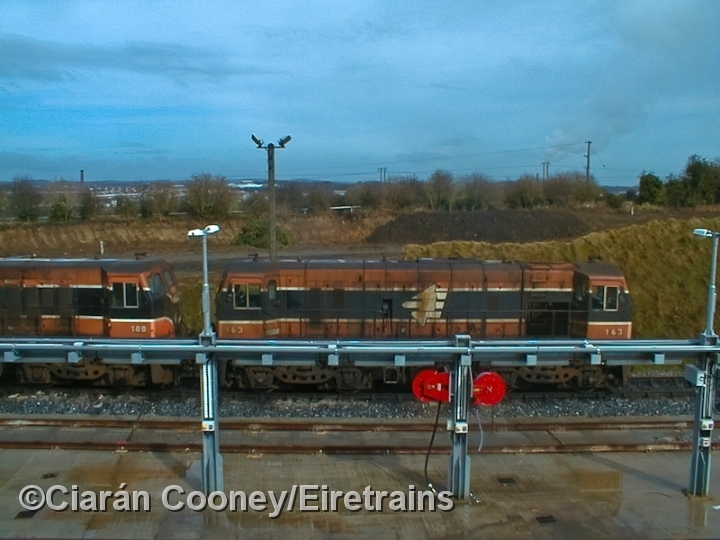 Colour light signalling replaced both Drogheda north and south signal cabins in the late 1970s, and both are now demolished. 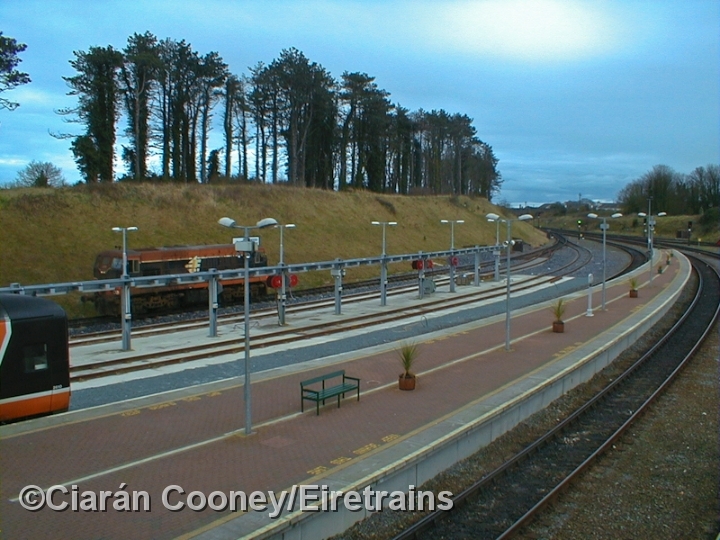 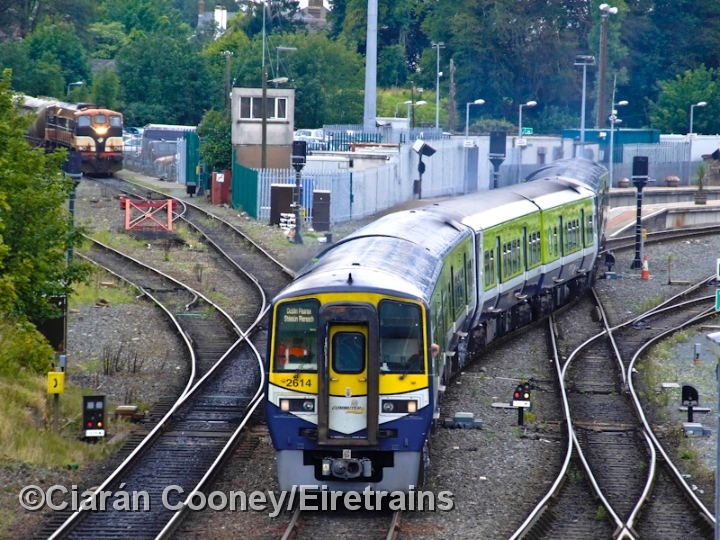 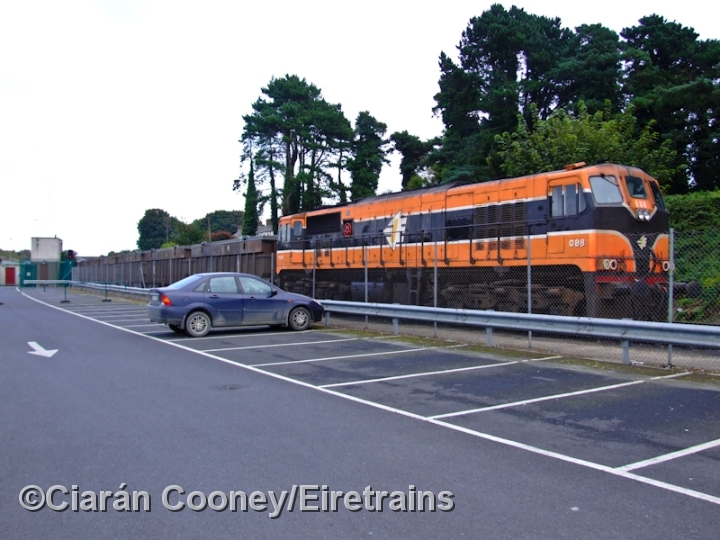 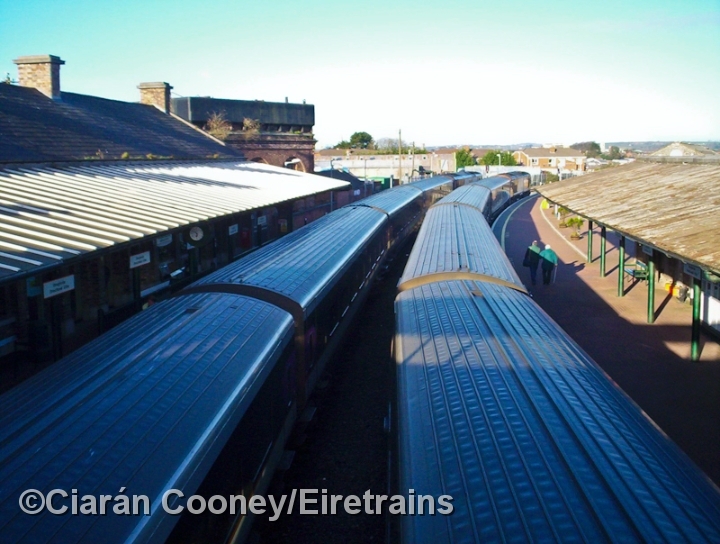 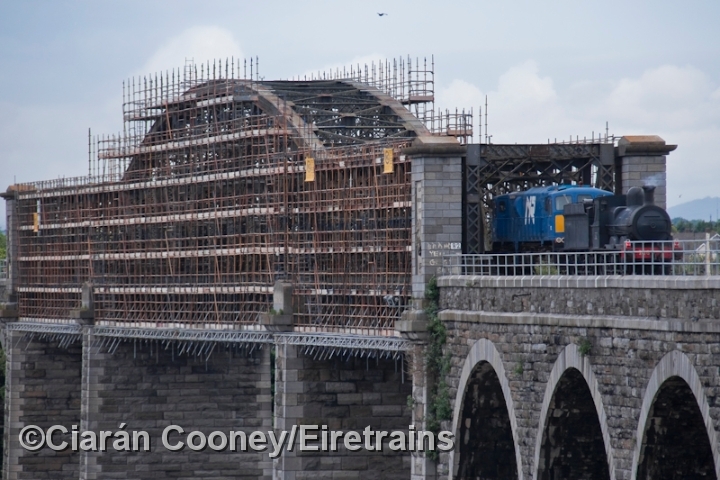 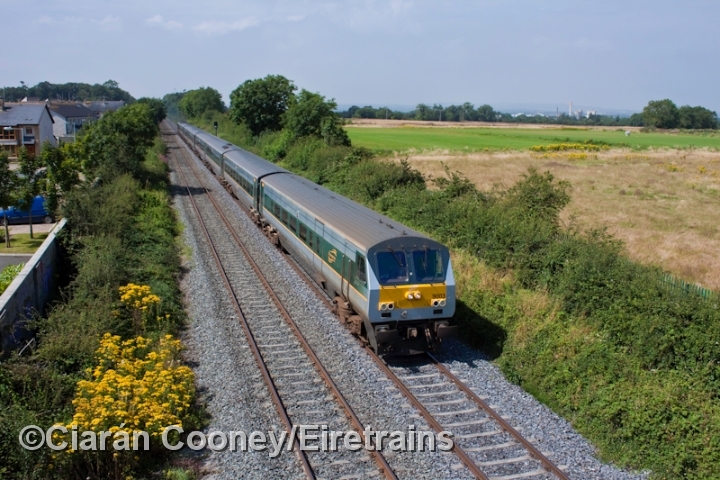 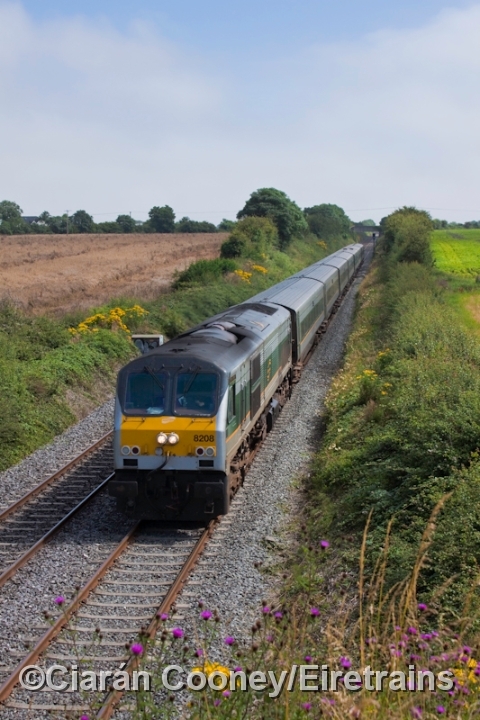 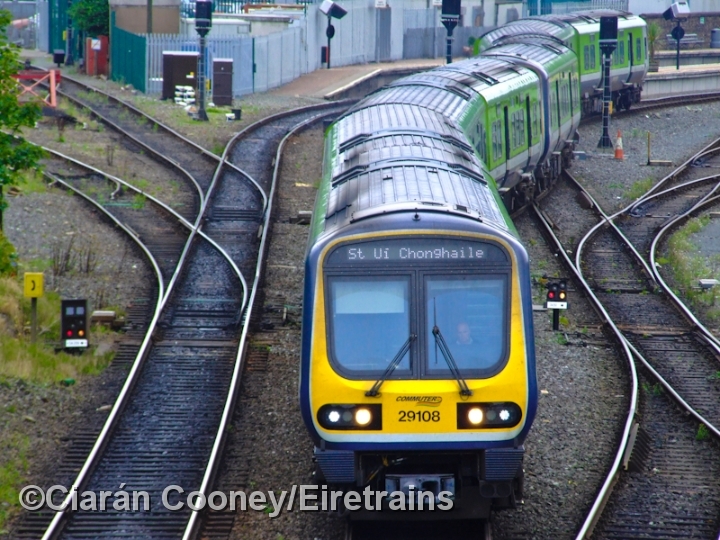 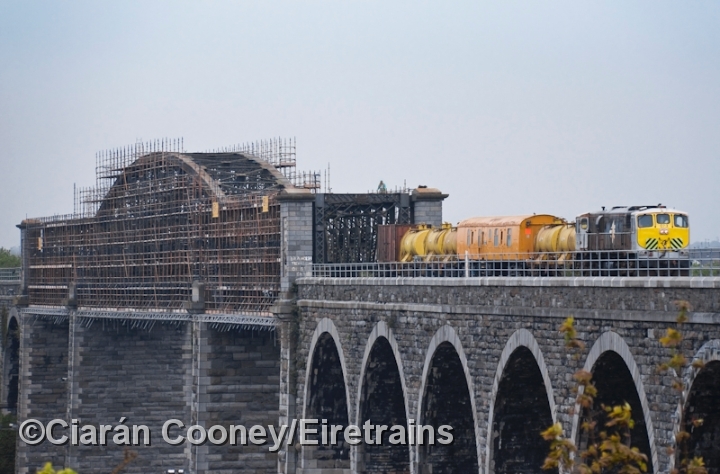 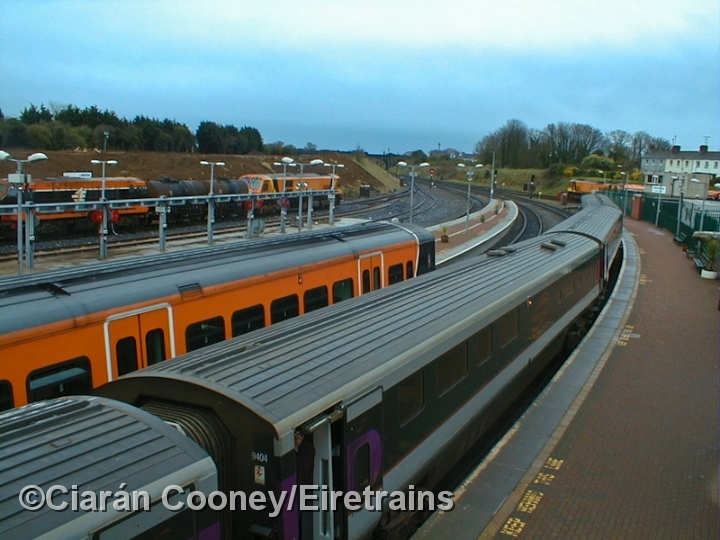 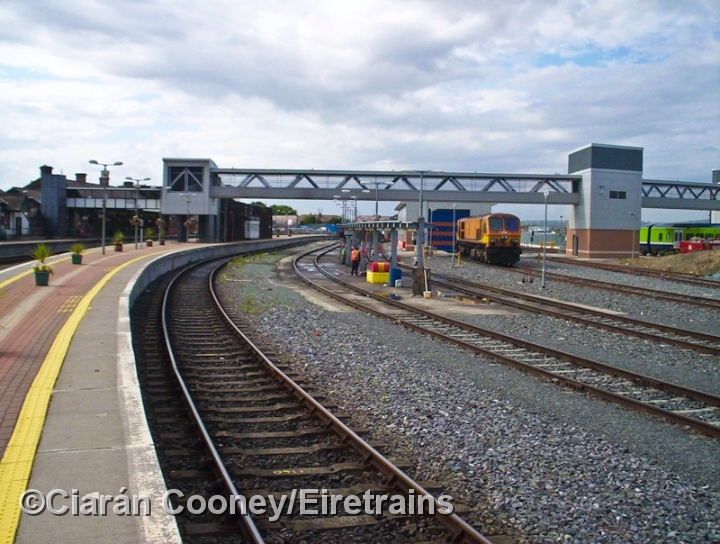 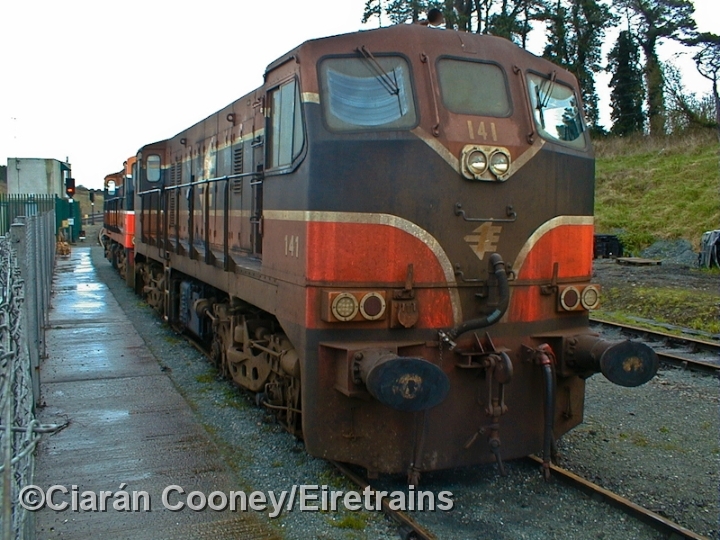 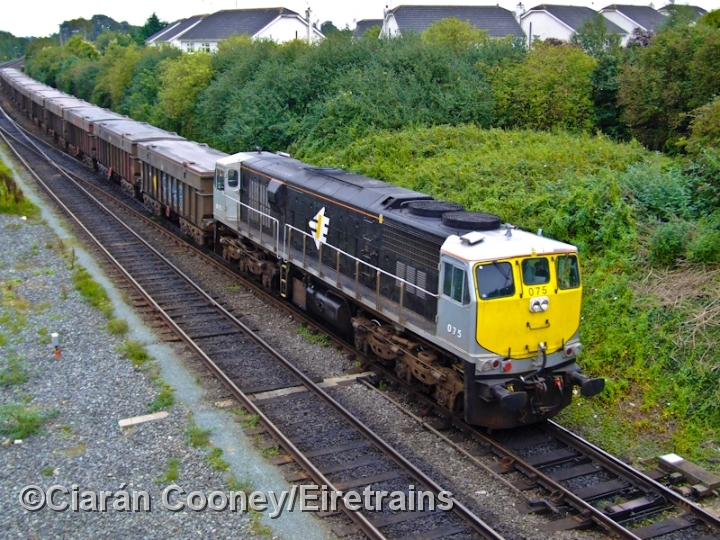 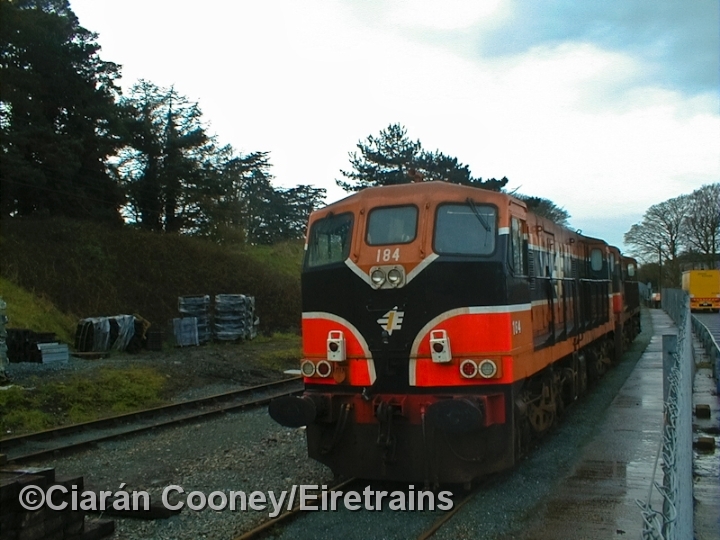 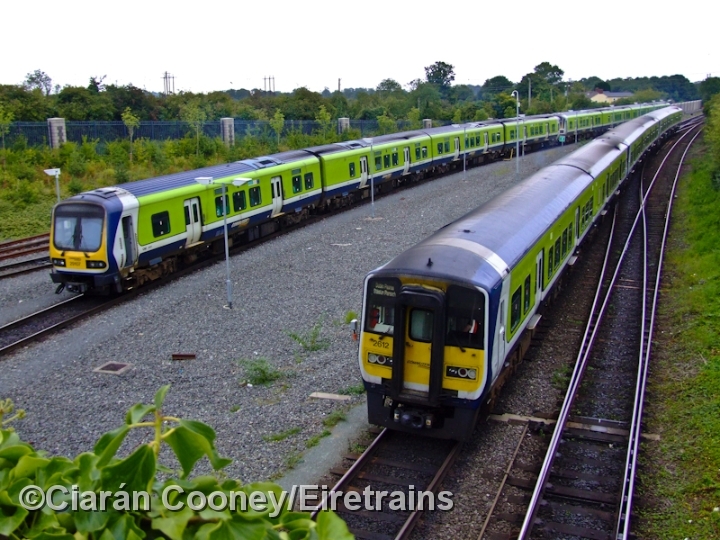 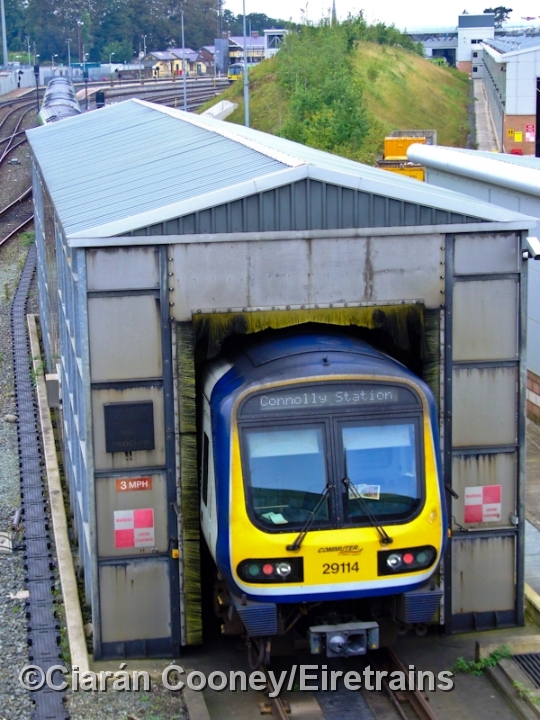 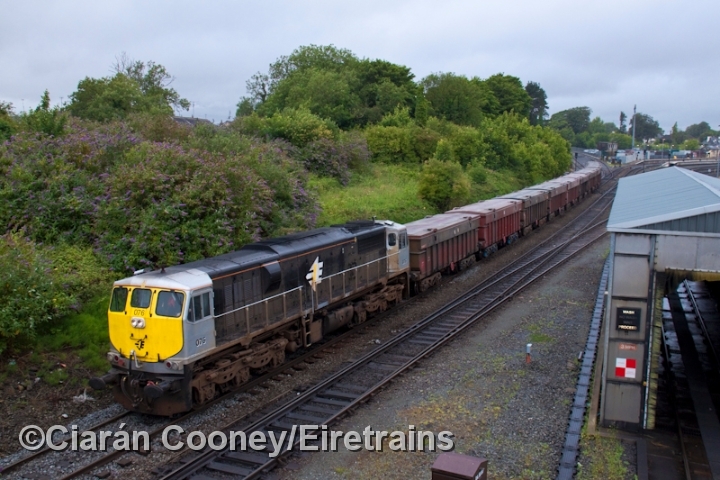 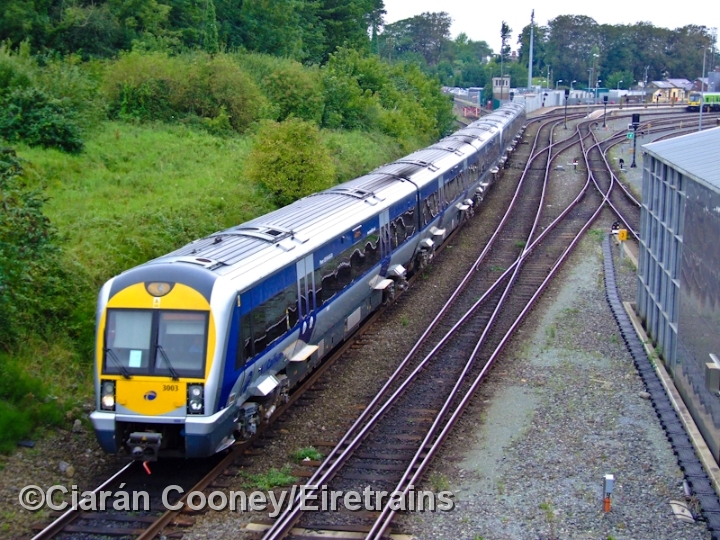 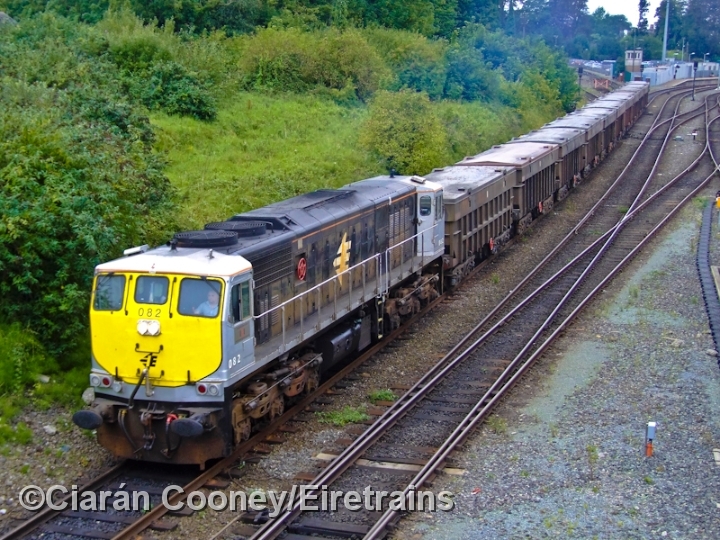 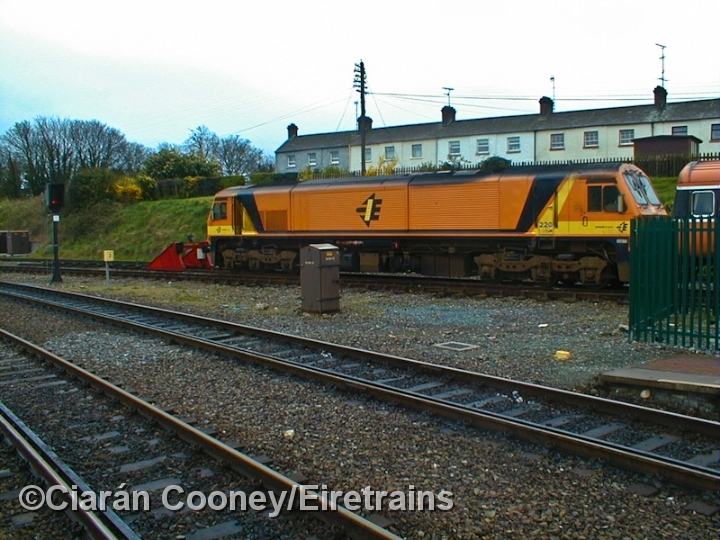 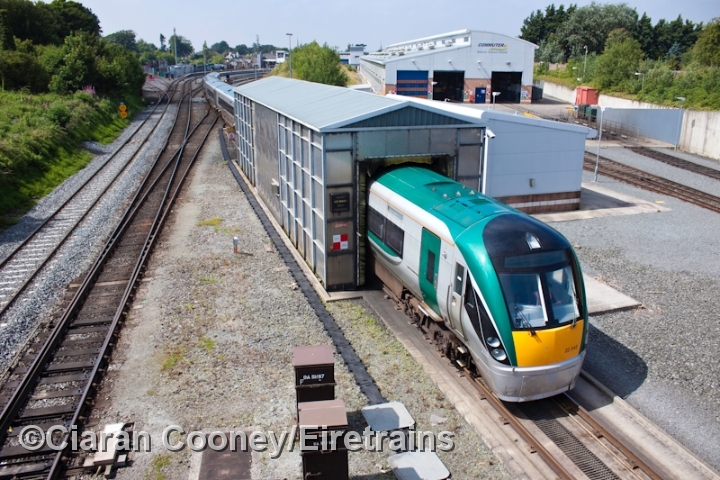 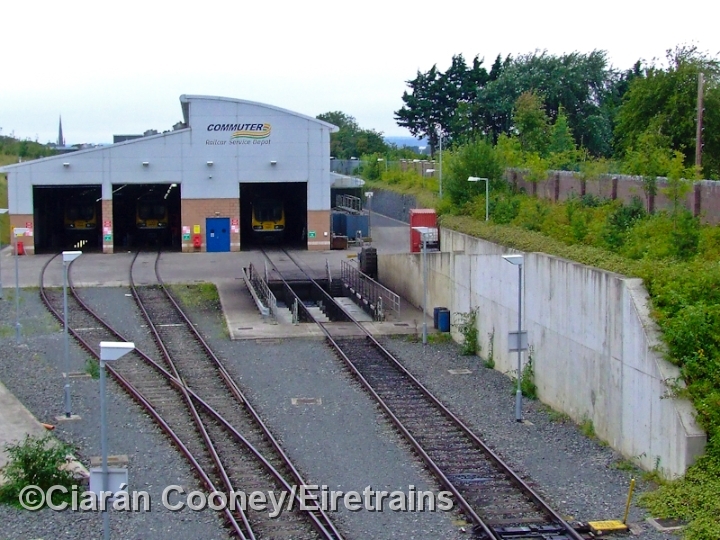 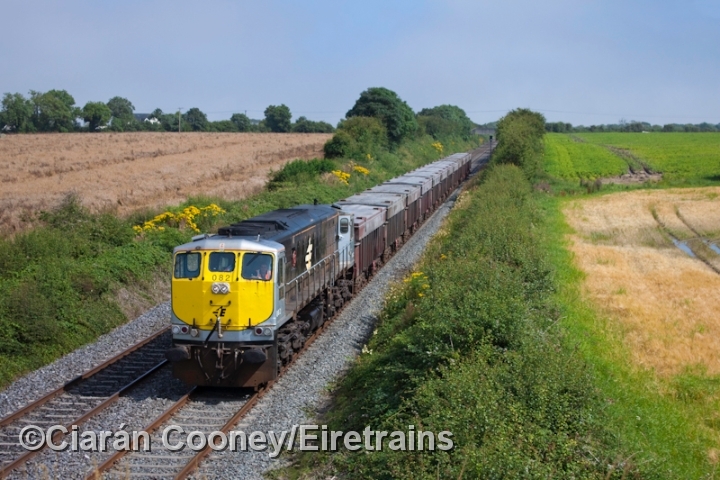 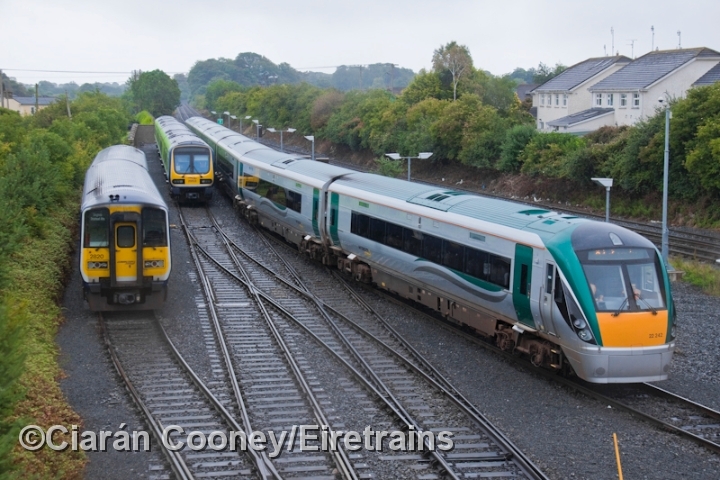 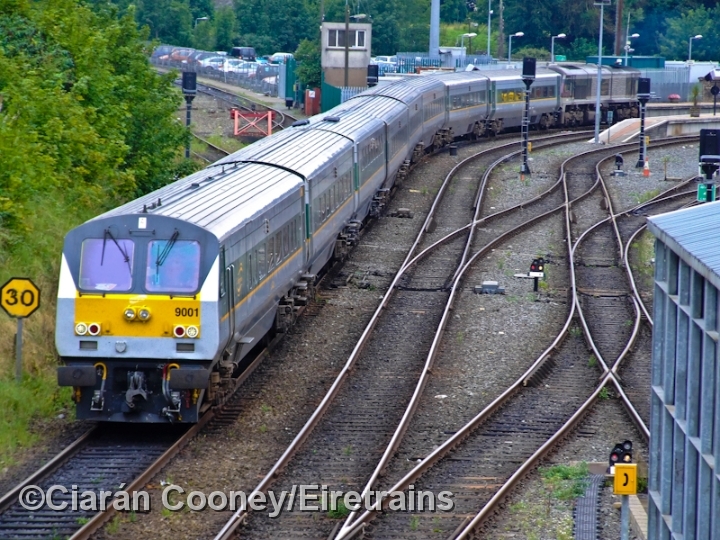 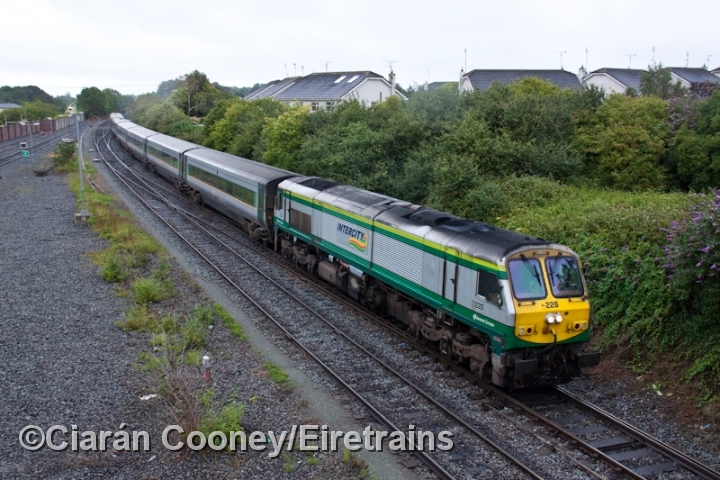 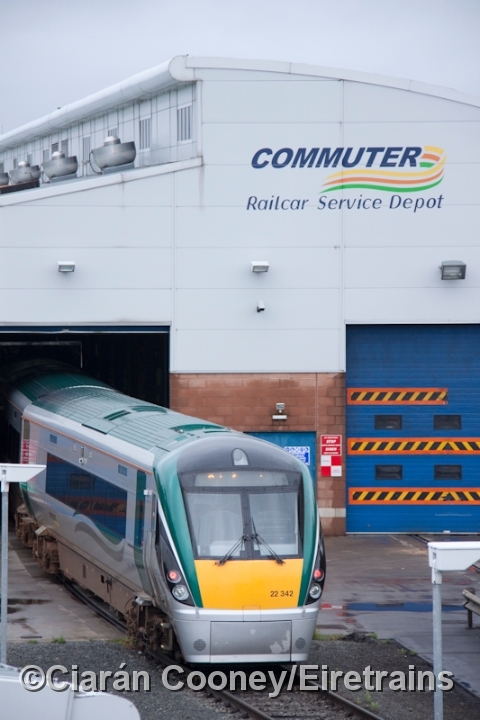 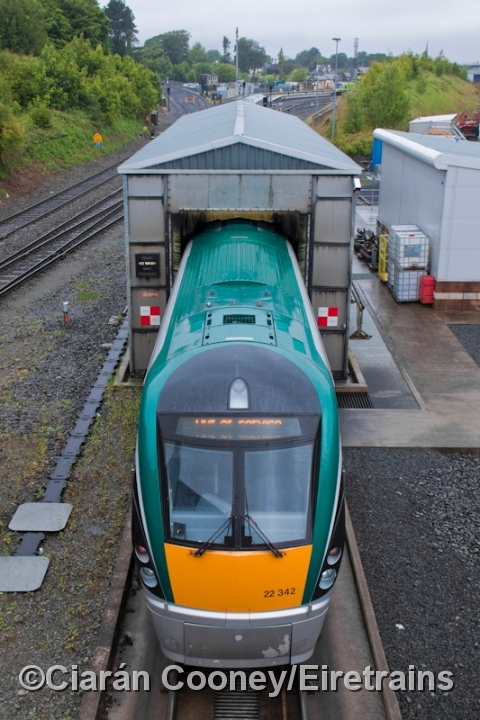 The Buckeys Sidings, the site of the original D&DR terminus, which was a place of dereliction for years, is now occupied by the new large railcar depot, which services the Drogheda and Dundalk trains.